From a far far away Galaxy, Chris Carrier strikes again with his latest installment on in always-on-point series Sound Carrier. Once again the music is rough and the sound resolutely analogic. 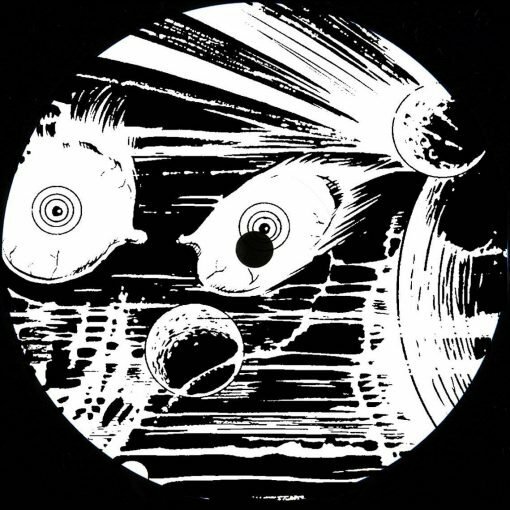 But if the label mainly showcases, since nearly a decade, Chris Carrier’s most Techno oriented work, the Parisian Maestro teams up here with long time friend Le Loup to deliver four exterrestrial Drexciyan style cuts – an ode to Detroit’s electro golden age with a unique and futuristic twist. 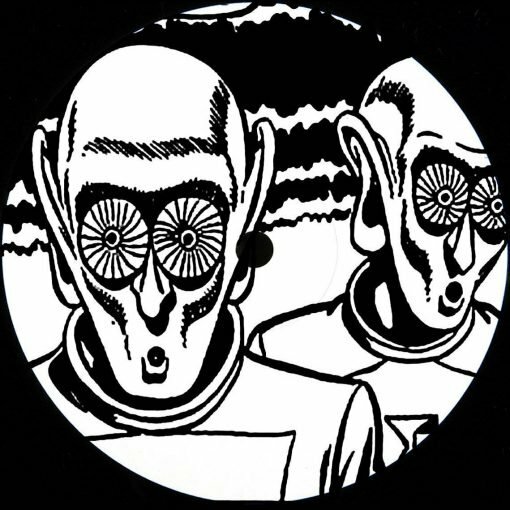 The record opens on R-Vision with a subtle dry 909 Breakbeat interrupted by the sound of a gun locking and loading, but the fat bass-line coming after a minute brings the track to a whole new dimension. Outerspace vocals, dreamy pads, nasty acid lines from the TB303, and strange modular sequences in the background will get everybody on board. In S-Vision, bleepy and cheming sequences overlaps into a slow Breakbeat followed quickly by a crispy analogic b-line and ominous pads setting immediately the tone of the track. Despite the grimy atmosphere, you gotta love the slightly distorted 909 snare that keeps you groovin and groovin threw the whiring and whistling FX. On the flip, D-VISION might be the most powerful track of the EP dancefloorwise. It all starts on a stomping bassline with some kind of a deranged west coast vibe in the synth lead. Then the track keeps building around metallic sounds, and discreet acid licks while the eerie chord progression creates a disturbing mood. The record ends on Y-VISION : an Abstract Acid number and perhaps the most cerebral track on the record. Crunchy percussions and hypnotic acid lines bring you on a mental trip and keep your feet moving, while the mellow pads combined to a loose Breakbeat guarantee you to happily finish your journey into the twilight zone. More items from " Sound Carrier Records "
More items from " Chris Carrier | Le Loup "